Sanjin finished his master’s degree in Software Engineering & Internet Computing in 2011 and bachelor degree in Software & Information Engineering in 2010 at Vienna University of Technology. 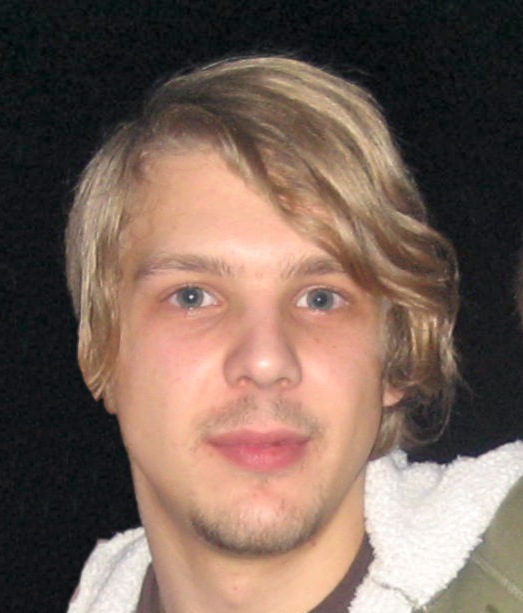 He was previously involved in development of COPAL, a runtime context provisioning middleware, as part of SM4ALL project. His current interests are development of programming models for large-scale pervasive systems (e.g. smart cities) and Internet of Things. Fei Li, Michael Vögler, Sanjin Sehic, Soheil Qanbari, Stefan Nastic, Hong-Linh Truong, Schahram Dustdar, Web-Scale Service Delivery for Smart Cities, Internet Computing, IEEE, vol. 17, no. 4, pp. 78–83, July-August 2013. Katharina Rasch, Fei Li, Sanjin Sehic, Rassul Ayani, Schahram Dustdar, Context-driven Personalized Service Discovery in Pervasive Environments, World Wide Web: Internet and Web Information Systems (WWW), Springer, vol. 14, no. 4, pp. 295-319, July 2011. Fei Li, Michael Vögler, Sanjin Sehic, Soheil Qanbari, Hong-Linh Truong, Stefan Nastic, Schahram Dustdar, “IoT PaaS: Intelligente IT-Infrastruktur für Smart Cities”, “Smart City – Wiener Know-How aus Wissenschaft und Forschung”, Schmid Verlag, Wien, 2012, ISBN: 978-3-900607-50-0. Michael Vögler, Fei Li, Markus Claeßens, Johannes M. Schleicher, Stefan Nastic, Sanjin Sehic, Schahram Dustdar, COLT Collaborative Delivery of lightweight IoT Applications, International Conference on IoT as a Service (IoTaaS 2014), 27-28 October 2014, Rome, Italy. Stefan Nastic, Sanjin Sehic, Le-Duc Hung, Hong-Linh Truong, Schahram Dustdar, Provisioning Software-defined IoT Cloud Systems, The 2nd International Conference on Future Internet of Things and Cloud (FiCloud 2014), 27-29 August 2014, Barcelona, Spain. Christian Inzinger, Stefan Nastic, Sanjin Sehic, Michael Vögler, Fei Li, Schahram Dustdar, MADCAT – A Methodology for Architecture and Deployment of Cloud Application Topologies, The 8th IEEE International Symposium on Service-Oriented System Engineering (SOSE 2014), 7-11 April 2014, Oxford, UK. Sanjin Sehic, Stefan Nastic, Michael Vögler, Fei Li, Schahram Dustdar, Entity-Adaptation: A Programming Model for Development of Context-Aware Applications, 29th Symposium On Applied Computing (SAC 2014), Mobile Computing and Applications (MCA) track, 24-28 March 2014, Gyeongju, Republic of Korea. Stefan Nastic, Sanjin Sehic, Michael Vögler, Hong-Linh Truong, Schahram Dustdar, PatRICIA – a Novel Programming Model for IoT Applications on Cloud Platforms, The 6th IEEE International Conference on Service Oriented Computing and Applications (SOCA 2013), 16-18 December 2013, Kauai, Hawaii, USA. Fei Li, Katharina Rasch, Sanjin Sehic, Schahram Dustdar, Rassul Ayani, Unsupervised Context-aware User Preference Mining, Workshop on Activity Context-Aware System Architectures (ActivityContext 2013) at AAAI, 14 June 2013, Bellevue, Washington, USA. Schahram Dustdar, Fei Li, Hong-Linh Truong, Sanjin Sehic, Stefan Nastic, Soheil Qanbari, Michael Vögler, Markus Claeßens, Green Software Services: From Requirements to Business Models, The 2nd International Workshop on Green and Sustainable Software (GREENS 2013) at ICSE, 20 May 2013, San Francisco, California, USA. Sanjin Sehic, Fei Li, Stefan Nastic, Schahram Dustdar, A Programming Model for Context-Aware Applications in Large-Scale Pervasive Systems, The 8th IEEE International Conference on Wireless and Mobile Computing, Networking and Communications (WiMob 2012), 8-10 October 2012, Barcelona, Spain. Katharina Rasch, Fei Li, Sanjin Sehic, Rassul Ayani, Schahram Dustdar, Automatic Description of Context-Altering Services Through Observational Learning, The 10th International Conference on Pervasive Computing (Pervasive 2012), 18-22 June 2012, Newcastle, UK. Sanjin Sehic, Fei LI, Schahram Dustdar, COPAL-ML: A Macro Language for Rapid Development of Context-Aware Applications in Wireless Sensor Networks, The 2nd International Workshop on Software Engineering for Sensor Network Applications (SESENA 2011) at ICSE, 21-28 May 2011, Honolulu, Hawaii, USA. Fei LI, Sanjin Sehic, Schahram Dustdar, COPAL: An Adaptive Approach to Context Provisioning, The 6th IEEE International Conference on Wireless and Mobile Computing, Networking and Communications (WiMob 2010), 11-13 October 2010. Niagara Falls, Canada. Sanjin Sehic, COPAL: An Adaptive Approach to Context Provisioning, Master’s Thesis advised by Schahram Dustdar and Fei Li, Vienna University of Technology, July 2011.